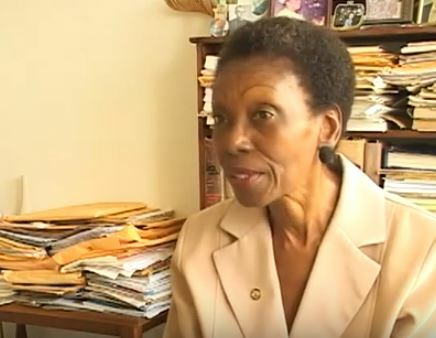 Outspoken Saint Lucia Human Rights advocate, Mary Francis, has renewed calls to strengthen legislation pertaining to Coroners’ inquests. Francis believes inquests should be more independent and transparent. She said she has written requesting an inquest into the death of Odette Mondesir. Francis said Mondesir collapsed while in police custody last year. “The family members want answers,” she disclosed. Francis also spoke against the backdrop of reports that a man in his thirties, identified as Ali Smith of Marisule, died recently after being beaten up a few weeks ago by a police officer. Relatives of the deceased allege that he was falsely accused of stealing a vehicle. Saint Lucia police say that an investigation has been launched into the matter. “Up to now I think there is no reform in terms of the inquest and the Coroner’s Act,” Mary Francis told St Lucia Times. Francis recalled having raised the issue in connection with alleged extra-judicial killings committed by Saint Lucia police officers between 2010 and 2011. “When there are state killings you need to have transparency,” she declared. Francis observed that currently, the police gather the evidence and put it before the coroner when a cop is alleged to have been responsible for a killing. According to the human rights advocate, there is need for a special Coroner’s Office with independent investigators to gather evidence. The outspoken Attorney at Law referred to the alleged extra-judicial killings by the police between 2010 and 2011, declaring that until now the public has heard nothing in terms of reforms despite recommendations made. “We hear Attorneys General coming in, Attorneys General going out. We hear DPPs coming in, DPPs going out but we are not seeing those important changes,” Francis told St Lucia Times. Francis explained that the Coroner’s Act indicates that when there is an unnatural death the Coroner has to visit. “But the Coroner hardly visits. As far as I know the Coroner also plays the role of Magistrate. So, is the Doctor the Coroner? Do the Doctors and police play the role of coroner in Saint Lucia? All those things have to be specified in legislation,” the Coordinator of the National Centre for Legal Aid and Human Rights stated. She said she is not aware that Magistrates go to view bodies. Miss Mary, what exactly do you want? Do you préfère the criminals than our law enforcers? Why do you always blame the police because they are trying to main law and order in the land? before you judge our police, start first with your criminals, ask them to respect people, stop their madness! Miss Mary, our police officers has done very well under these circonstances! why don’t you try to be a police in action? Then and only then, you will know the hell to be a police officer ! It is not easy at all! Please people of St.Lucia, I do not mean any disrespect, but I have a need to know, is this person a man or a woman? This Mary Francis what gender is this individual? She is all female, and yes her screaming for human rights, transparency and justice is fair and right. This is a basic right every human regardless of their transgressions in society. We all must wake up and realize in one way or the other directly and indirectly one day any of us may come with law enforcers. Therefore we would expect them to be professional, respectful, and non bias as they do their duties. Law enforcers are not judge, jury and the executioners. They are investigators, collection and protector of evidence to be put forward to judge, magistrate and jury for decision. Innocent and still proven guilty.